My Beatport DJ chart (August 2012) is available! Tic Tac Trance #056 Replay available! 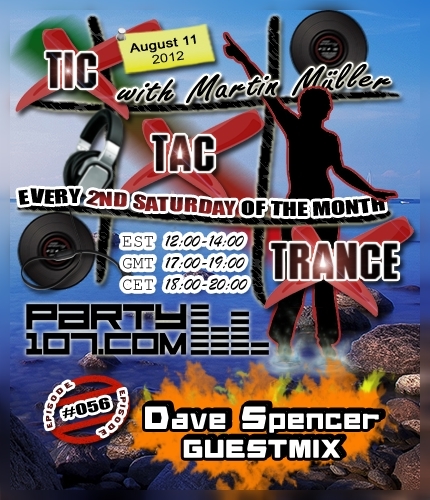 I’m pleased to announce that Tic Tac Trance #056 on August 11 2012 will feature a guestmix by Dave Spencer. Dave has prepared a very uplifting & melodic set for the second half of the show. The first hour will feature a warmup set by myself with new progressive and psychedelic tunes by artists like Blanka, Deepwide, Estiva, Easy Riders and many, many more! My show will air on August 11 at 18 CET / 17 GMT / 12 EST. 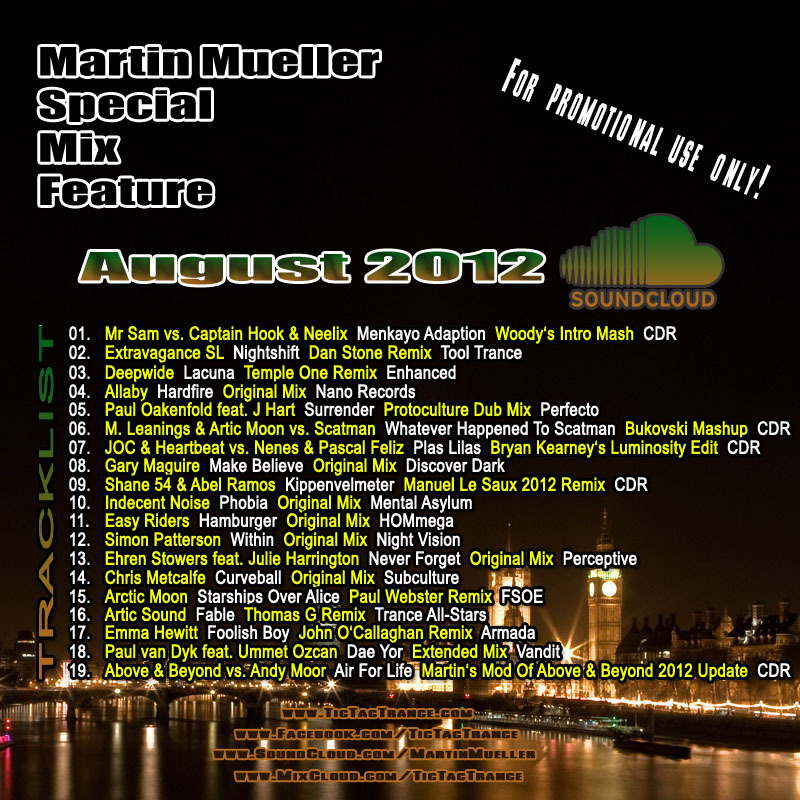 Soundcloud Mix August 2012 available! After a little break my Soundcloud Mix Series is back with 19 fresh tunes mixed into just one hour! 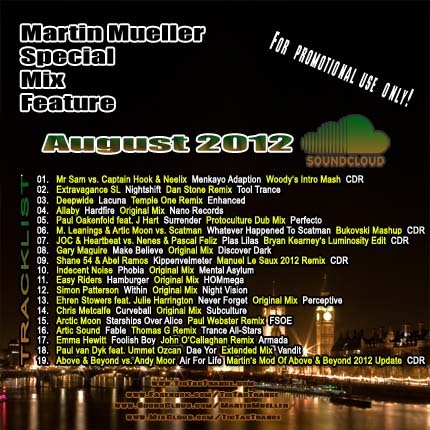 It features tunes by artists like Deepwide, Dan Stone, Simon Patterson, Indecent Noise, Bryan Kearney and many many more! It’s now available on my SOUNDCLOUD page. Enjoy! Note: for promotional usage only!